KSP Trooper Adam Jones is continuing his investigation. 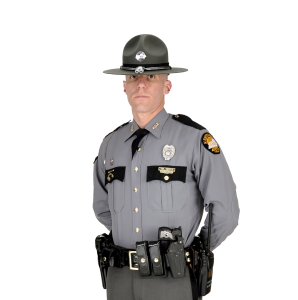 Cayce, KY (February 08, 2019) – The Kentucky State Police, Post 1 in Mayfield, KY received a call of a pedestrian being struck near KY 94 and KY 1212 on February 7, 2019 at approximately 1:36 P. M.
Preliminary investigation shows Ryan M. Henderson, 21 of Fulton, KY was traveling east on KY 94 driving a 2000 Ford pick-up truck. Dairus T. Carr, 92 of Hickman, KY was walking across the highway towards his mailbox. The wet roads were a factor in Mr. Henderson’s ability to stop in time. Mr. Carr was transported to a hospital in Union City, TN due to his injuries. He passed away at approximately 5:57 P.M. while being transferred to a hospital in Memphis, TN. KSP Trooper Adam Jones is continuing his investigation. KSP was assisted on the scene by the Fulton County Sheriff’s Office, and the Ken-Tenn EMS. Anyone with information is asked to contact the Kentucky State Police Post 1 at 270-856-3721 or anonymously at 1-800-222-5555. Citizens may also report tips anonymously through the KSP app. The app is available for iPhone, iPad and Android applications and can be easily downloaded free of charge through Apple and Google Play stores.